First of all let me thank you for your interest in my photos. Below, I want to share with you those photos which have a special meaning for me and I hope you will find what you are looking for. Please, feel free to contact me if you have any questions! If you want to order one of my photos below, please click on the “contact” button and fill out the form with the “name” of the picture and in what “size” you want me to print it for you. I will contact you with detailed information as fast as possible. 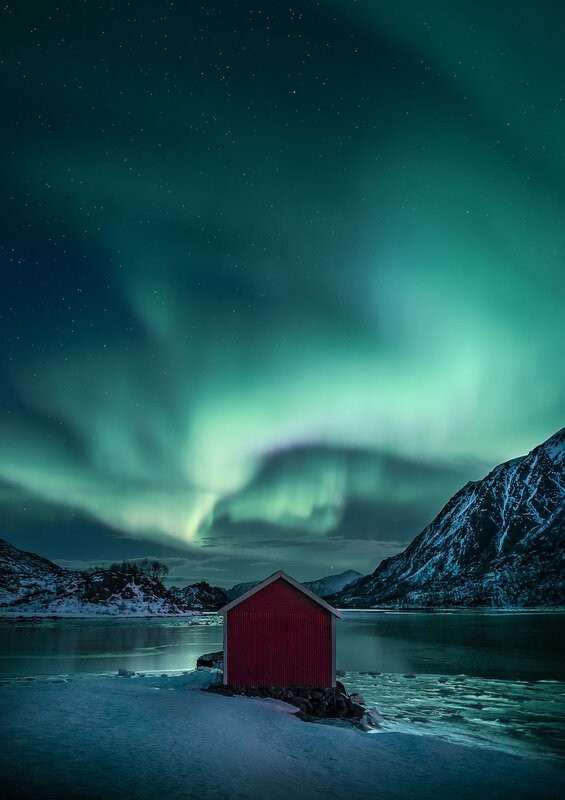 Old folklore in Norway says that you should never wave or whistle at the Northernlight as it may come down and take you. As it rises up over the mountains, what is it you see? A man? An Angel? A Bird? 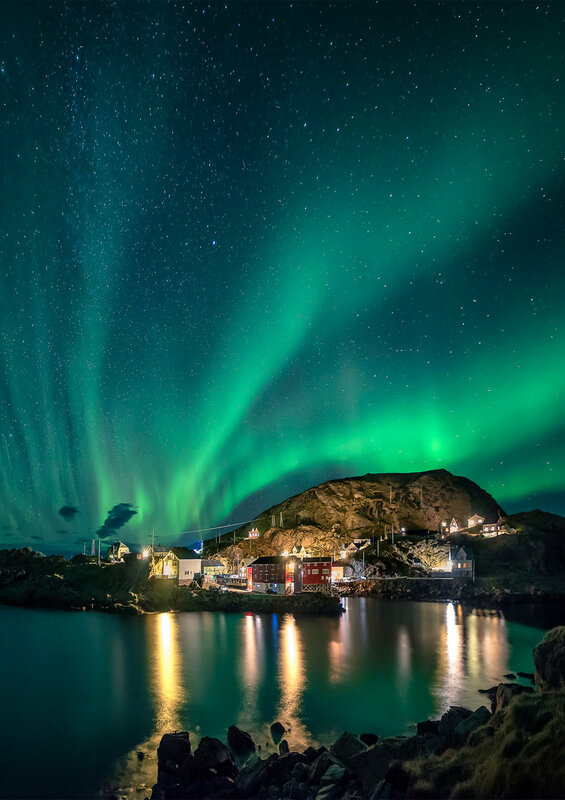 One of those occasions where the light of the Full Moon meets the Northern Lights and envelops the picture in a special glow. This is were I spend most of my holidays when I was a child and it is were my family has its roots. The Norwegian Sea can be pretty rough but it has its peaceful days as well and I was lucky to capture one of those few. 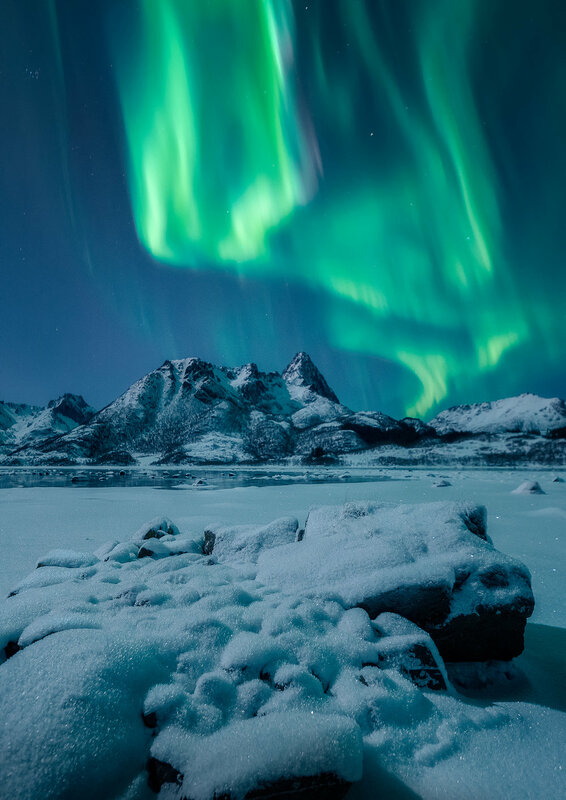 The Romans connected the Northern Lights to the Goddess Aurora. The Goddess of the dawn who announces the arrival of the sun every day. 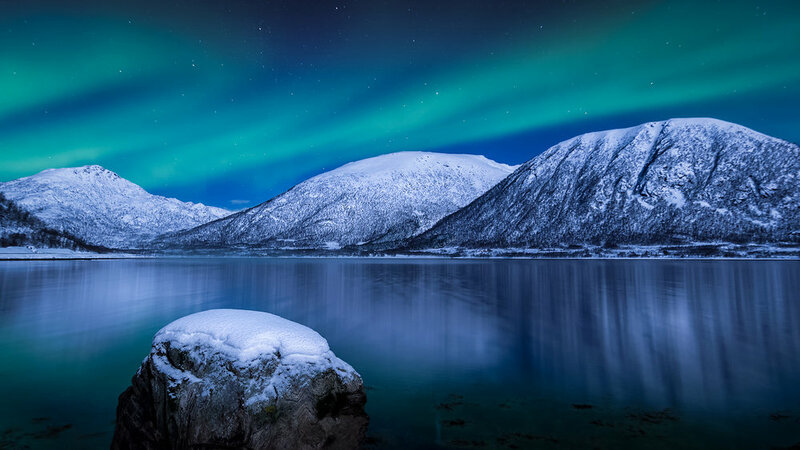 In ancient Europe people believed that the Northern Lights were a bad omen. In China they have been related to Dragons. In their battle between good and evil high up in the sky, their dragon breath is what creates this beautiful and astonishing Lights! In Scotland people believed that Northern Lights are the result of blood dripping from the wounds of fights between sky warriors or fallen angels. They are called Na Fir Chlis – the nimble man. Sometimes when you least expect it, pictures like this are taken. This shot happened on a Sunday evening when my wife and I spontaneously decided to go on a photo-tour. Without a heading in mind we ended up in Hennes and I believe the timing couldn’t have been better.